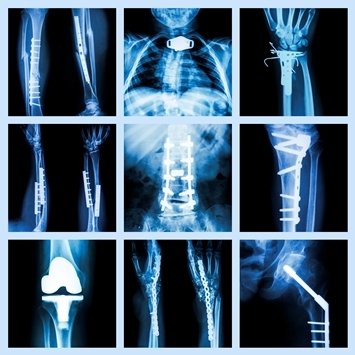 The North American bone grafts and substitutes market, which spans the US, Canada, and Mexico, is expected to rise from $1.7 billion in 2016 to around $2.1 billion by 2023, representing a compound annual growth rate (CAGR) of 3.5%, according to GlobalData, a recognized leader in providing business information and analytics. The company’s latest report states that key drivers of this growth include companies’ continued efforts on product innovation and line extension to create a comprehensive orthobiologics platform, and ongoing research for materials that promote the healing triad (osteoinductivity, osteoconductivity, and osteogenesis). The market will also be boosted by rising procedure volumes of spinal fusion, trauma fixation, and joint reconstruction. Jennifer Ryan, Healthcare Analyst for GlobalData, explains: “The composition of the bone grafts and substitutes market in the forecast period will largely be shaped by expanded adoption and utilization of demineralized bone matrices, synthetic bone substitutes, and cell-based matrices. The bone grafts and substitutes space is highly populated, with players ranging from small orthobiologics startups to medical device multinationals. Three major players – Medtronic, DePuy Synthes, and Stryker – dominate the global space due to the companies’ far-reaching distribution networks and established presence in complementary markets, including spinal fusion and trauma fixation. In terms of market share across North America, the US represented the largest portion of the market in 2016, holding over 95% of the regional revenue, and GlobalData expects the US to maintain this dominance through the forecast period. Canada is forecast to be the fastest-growing market through 2023, at a CAGR of 6.6%, while the slowest growth will be observed in Mexico at a CAGR of 2.1%. – Information provided by GlobalData’s report: MediPoint: Bone Grafts & Substitutes – North America Analysis and Market Forecasts.